Over the years I have often wondered what it is about this hobby that makes it so special to me. I guess that, above all other reasons, it helps me to connect with my childhood and the many things that were so special about being a kid. It all started when my Dad took me along for a ride one warm summer day in 1964 and we visited a place called Vince's Hobby Shop in Clifton, New Jersey. I will never forget the impression it left on me. The store was a wonderland of electric trains, gas powered airplanes and plastic and balsa models. On that special day we bought a ship model which we built and floated in the tiny pool that my Dad had set up. I cannot remember how many times I broke and repaired that model, but it made me hunger for more. Sometime after my first model I discovered that the local hardware and repair store, which was within biking distance, carried model airplanes and within a few years the ceiling of my room was cluttered with Aurora, Revell, Hawk and Monogram kits of every type. I spent every dime of my paper route money on models and long hours in the basement building them. I can vividly remember those warm summer days as I rode my bike to the store while I fantasized about what it must be like to actually fly the airplane I had picked out the previous week to buy. and instilled in me a sense of symmetry and organization. All of these attributes that I now have and which serve me well in life, I can attribute in some measure to quite a few 98 cent models and 5 cent tubes of Testors glue. What a great hobby this is and I am very proud to be a part of it. The projects are broken down by subject category and are a combination of text and/or pictures. There are no drawings or diagrams in any of the project files. 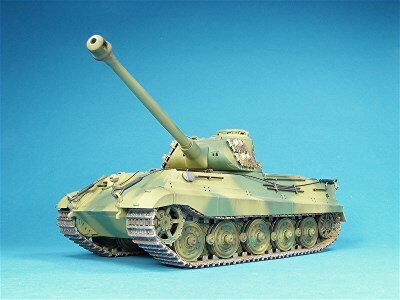 Since scale modeling is a visual hobby the techniques used to build the models are well illustrated with pictures. I have also included many old project files which were done with black and white film photography. Some of these photos have never been seen before as they were never used in any of my books or articles. The pictures were scanned and sequenced and while a picture is worth a thousand words, text has been impeded to help explain what was done to the model. More recent projects have been documented with digital photography and here again text has been incorporated into them where appropriate. The pictures contained in each project file present techniques for solving every challenge associated with a particular model.